This bilingual collection contains six of her acclaimed narrative poems, as well as a selection of lyrics, most translated into English for the first time. 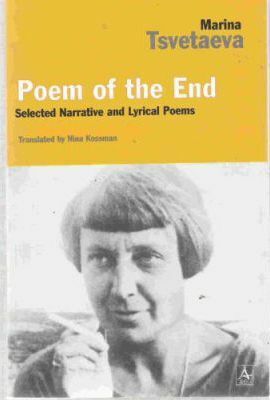 Tsvetaeva always regarded the narrative poem as her true challenge, and she created powerful and intensely original works in the genre. They can be seen as markers of various stages in her poetic development, ranging from the early, folk-accented "On a Red Steed" to the lyrical-confessional "Poem of the Mountain" and "Poem of the End" to the more metaphysical later poems, "An Attempt at a Room," a beautiful requiem for Rainer Maria Rilke, "New Year's Greetings," and "Poem of the Air," a stirring celebration of Lindbergh's transatlantic flight and the quest for the soul's freedom. &quot;There has been no more passionate voice in twentieth-century Russian poetry.&quot; --Joseph Brodsky. &quot;Direct, strong, audible translations . . . I hear Tsvetaeva's voice, more of it, and in a new pitch, which makes something clear in her poems that I had only guessed at before.&quot; --W. S. Merwin. Marina Tsvetaeva was born in Moscow in 1892. Her first volume of poetry was published in 1910 and attracted notice from some of the most important critics and poets in Russia, including Maximilian Voloshin. In 1922, following the Russian Civil War, she went into exile in Paris, where she became one of the leading writers of the emigre community. In 1939, she returned to the Soviet Union, and her husband was arrested shortly thereafter and subsequently executed by the NKVD. Tsvetaeva committed suicide in Elabuga, a small town to which she had been evacuated following the onset of World War II, in 1941. .
Nina Kossman has published two books of poetry and a collection of short stories, Behind the Border, and she also is the editor of the anthology Gods and Mortals: Modern Poems on Classical Myths.